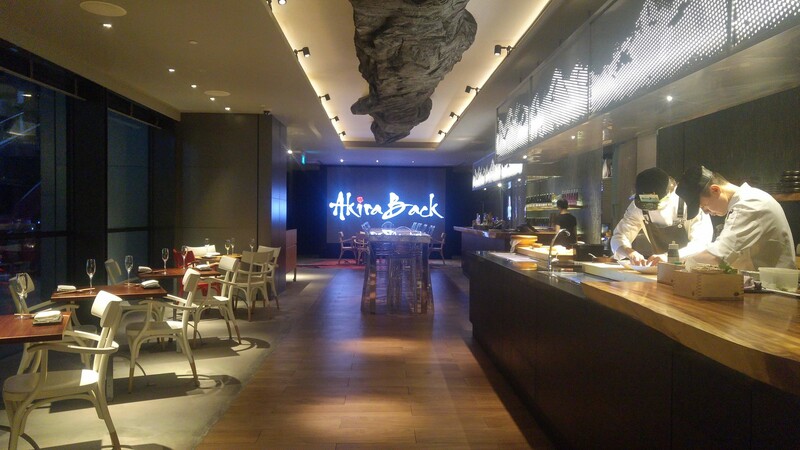 Akira Back at JW Marriott Hotel Singapore South Beach has recently revamped their menu, featuring six new dishes in addition to their signatures. AB Pizza Tuna ($26) is one of the mainstayers. With the crust about perhaps only 2mm, it is a bonus for those on a low-carb diet. 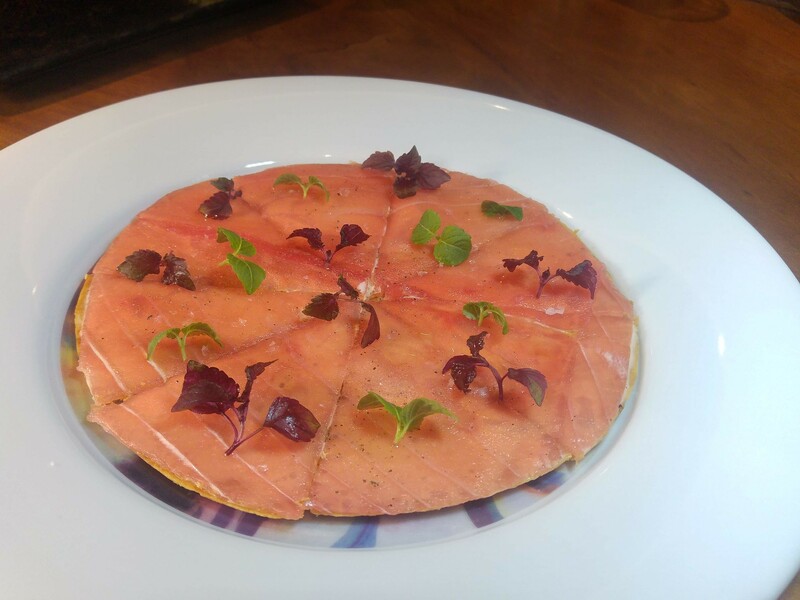 As thin as the tuna slices might look, its luscious fatty texture tasted full in the mouth and even more so against its thin crisp crust. The tangy and creamy aioli brought this two ingredients in harmony but I thought less of it might be more ideal. I personally much prefer the Soul Mate ($36) which to me is like a Japanese style bruschetta. I'm not sure why the name, perhaps of the fact that the crunchy and sweet amaebi is just so compatible with the creamy and briny uni. This bite size bruschetta might be tiny but it tasted full and rich in the mouth. 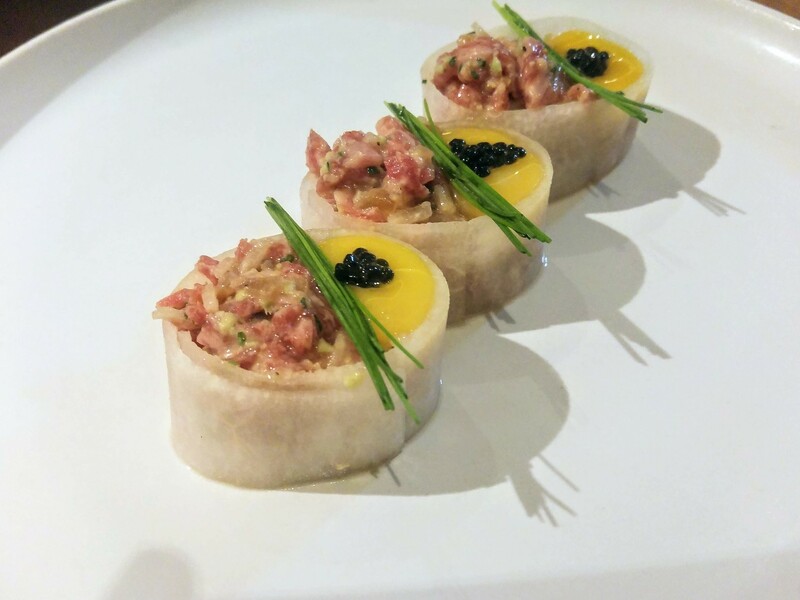 The savoury tosa jelly was an interesting key to elevate the profile of the dish. 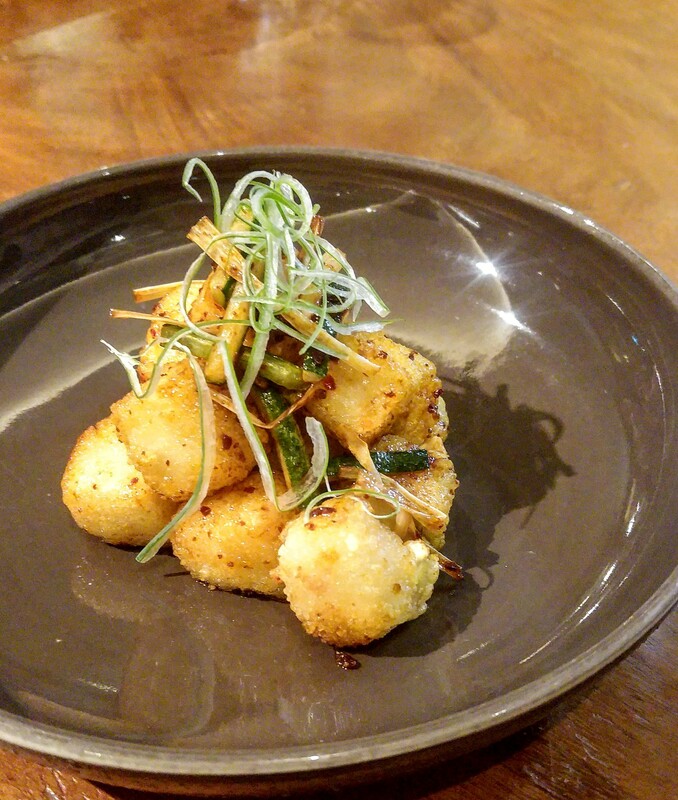 What was even more surprising, is this Crispy Tofu ($25). It islike a dry Agedashi Tofu but with skin twice the chewiness. It is very tasty with a thin layer of flavourful kochujang soy. There is also an interesting touch of finger lime for extra texture. 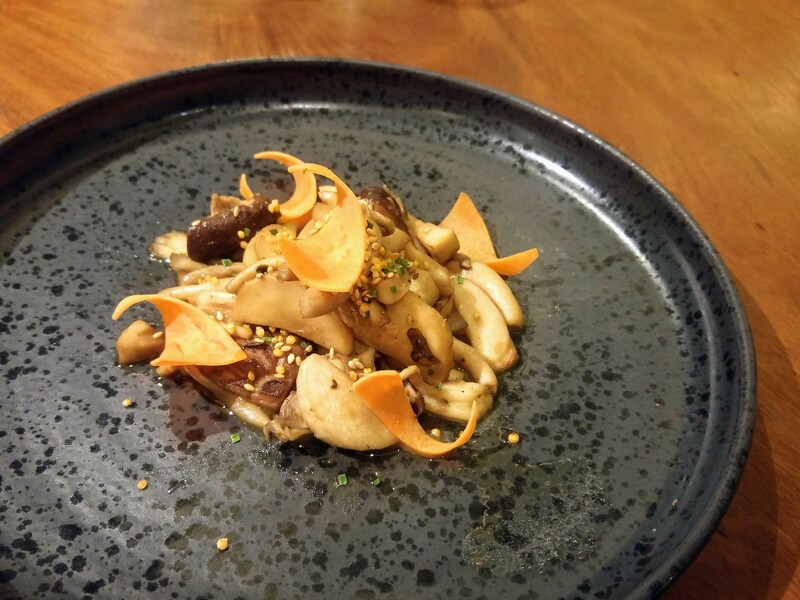 If you are not aware, Akira Back has a Vegetarian menu as well, offering dishes such as this Roasted Mushroom ($22). Nothing too dynamic but a crowd pleasing flavour of bulgogi that worked well with the earthy mushrooms. I like the hint of smokiness that came with it which made it quite addictive. Yukhoe ($45) is a sophisticated dish with “tajima” wagyu striploin, presented like Maki using nashi as the wrap. I believe I would have loved it should there be less of the sesame oil to mess with it. 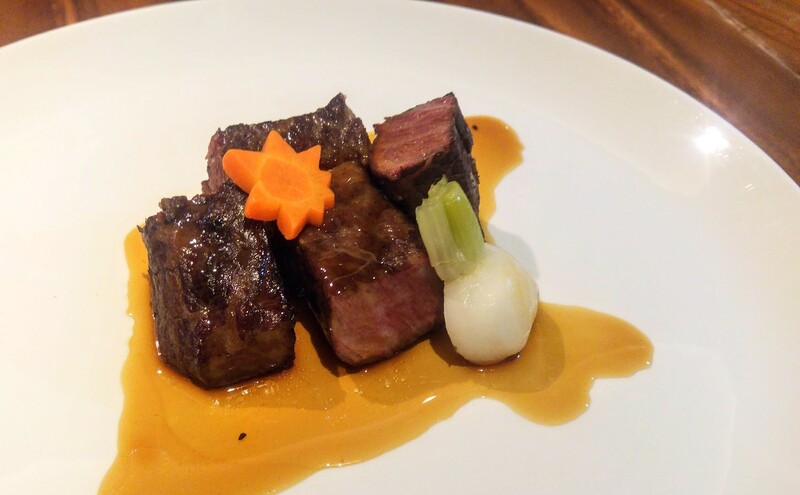 There are reasons why 48 Hrs “Sanchoku” Short Rib ($48) is a long standing favourite. Rich but clean on the palate, all it needed was its own braising jus as accompaniment to bring out its profile. 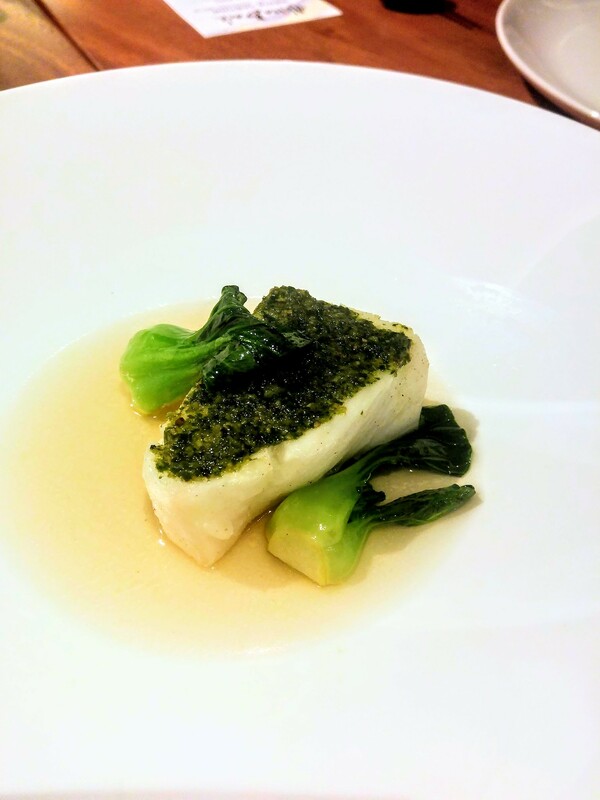 Simply lemongrass broth and shiso oroshi atop the fish, Shisho Seabass ($36) was a very elegant dish, be it its plating or taste. 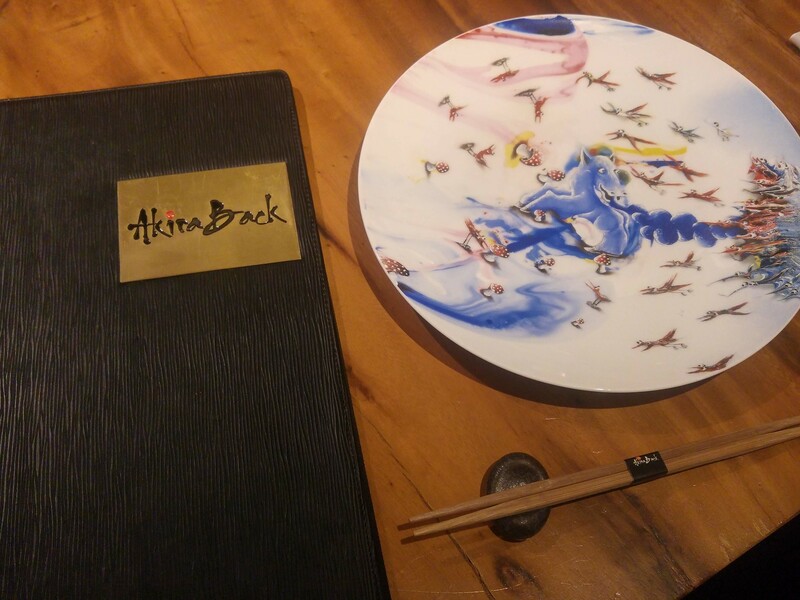 But if you are here at Akira Back, go for something that is more intriguing. 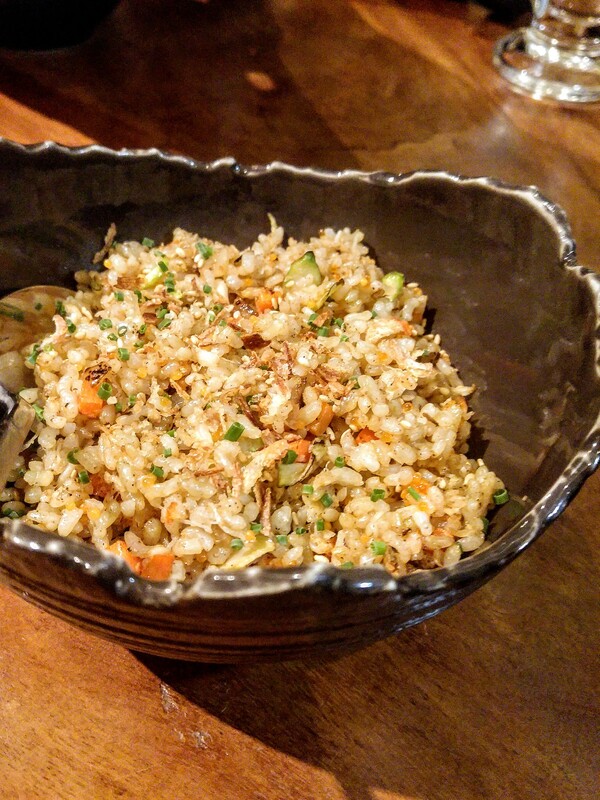 King Crab Fried Rice ($19) was actually one of my favourite dishes of the evening. There is so much textural play and flavours to this dish - the chopped crunchy vegetables, grainy rice pearls, pulpy crab roes all act together to bring out the texture and sweetness of the king crab. If your appetite is somewhat affected by a long day, this would be the dish to go for. Simple but hundred percent comforting. 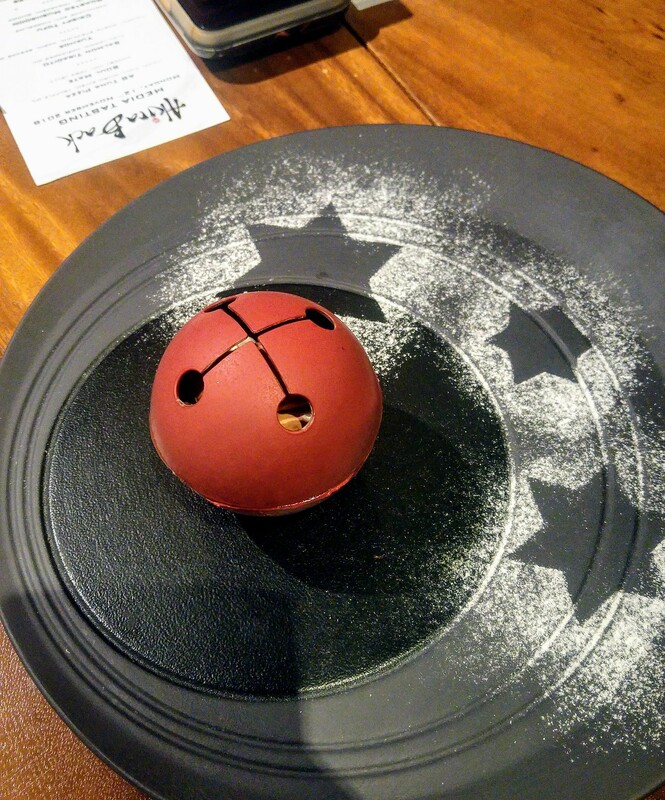 Dessert of the day was Christmas Bell, which is the special for this festive season. Break the bell to unravel the layers within - chocolaty in nature, with pineapple compote to balance the sweetness. 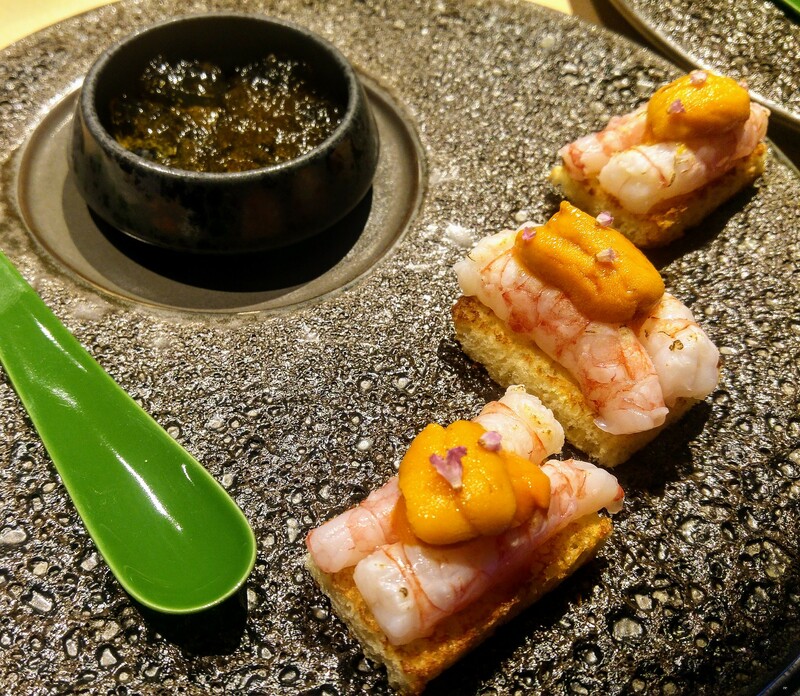 The new dishes still pretty much align with their identity, so if you are a fan of such modern Japanese cuisine with Korean accents, their new menu will entice you the same.